The above is just what a car brought to Perfect Paint must come to after being subjected to the aforementioned extreme pressure and duress after an extended period of time. 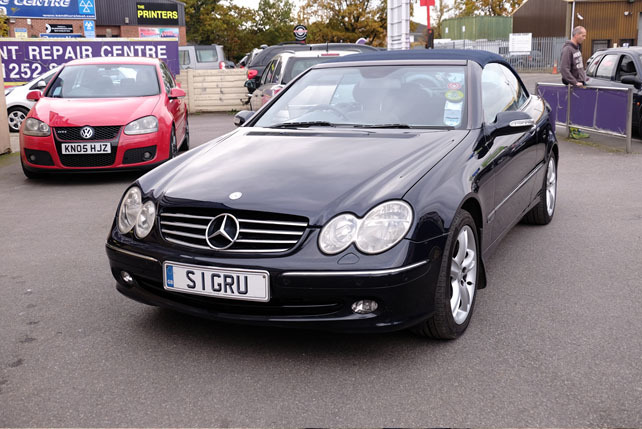 Unlike the Range Rover (the subject of our prior blog), the Mercedes above came in not for tune-ups and refinements, but an extensive session of repairs, fixes and polishes. Our second ‘case-study’ for the Perfect Paint blog came to the garage with a great deal of wear and tear for the team to put back into shape. 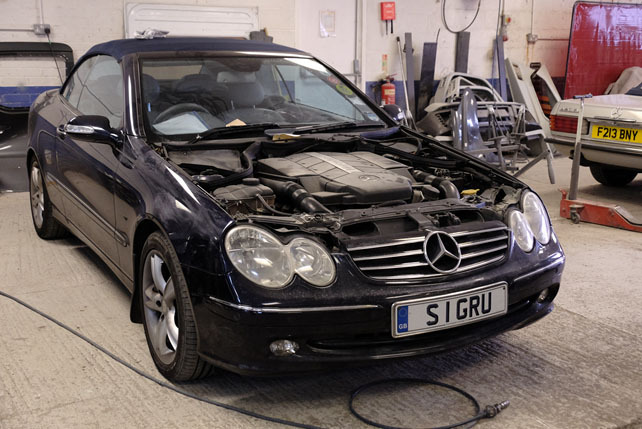 So, with all that to keep them busy, what does the Perfect Paint team do to get this CLK back into top form? A man confident in the abilities of his team; and going by the results shown in the photo below, a man with every right to be so. Keep your eyes on the blog for new cases as they arrive in the Perfect Paint garage!